It was something you were born to, if you were a woman, and embedded in you from girlhood. 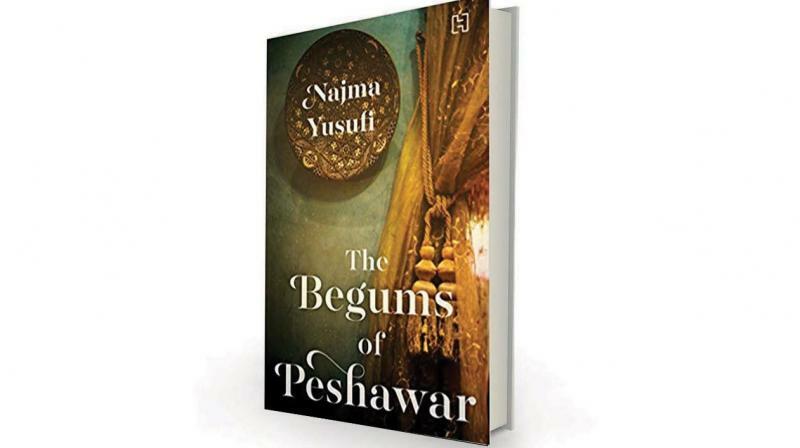 The Begums of Peshawar by Najma Yusufi, Hachette India, Rs 399. Bano, the young maid in the Durrani household, is the only woman in the book without expectations — she knows exactly what her lot in life is, and spends her time “trying to be as unobtrusive as possible, hoping that no one had seen her or intended to accuse her of one thing or another; that was how masters were with servants like her. Her kind was blamed for everything that went wrong”. While treated extremely badly, servants like Bano were valued too, because they were expected to be the “eyes and ears” of the masters of the family. Spying to protect the family honour was seen as a sign of loyalty and often rewarded. Which is, as we discover, not a very good idea, because the Durrani girls have no clue how to cook or run households — chores were left to their army of servants. Chan and Firasat’s mothers-in-law and husbands who once were delighted at this wonderful match, sneer at them for their incompetence in this field and punish them for it. “Like Chan, Bibigul secretly believed that her mother was to blame for the sorry state of her relationship with her husband because she had failed to train her daughters adequately for married life.” All that men wanted from this marriage to daughters of landowners was a massive dowry with land thrown in and every further demand for cash met (no matter how unreasonable it may be), but their expectations were dashed as the Durranis had no money to spare. Bano too experiences the worst kind of hell at the hands of a man, but unlike the Durrani girls, she finally has enough and takes action to change her life. Foolhardy at that moment, perhaps, but the gamble pays off. While the story is relentlessly depressing, it is also extremely gripping as you gasp at every twist and turn in the lives of the Durrani girls (and Bano) and wonder how they will deal with it. While their mother, Begum Hidayatullah has made it very clear that the only way Durrani girls return to their family home after marriage is in a coffin, that rule is broken several times over. This book is a must read for every wealthy, conservative family in India (make no mistake — there are plenty, still). It may not turn hirsute patriarchs into bra-burning feminists, but it will certainly give them an idea of the horrors their daughters go through.